In recent months, it would be difficult, if not impossible, to have missed the news stories shining a light on the many challenges women face in the workplace. The truth is, all employees should be able to participate in, and contribute to, the progress and success of an organization, and organizational leaders play an important role in creating a culture where employees are comfortable doing so. To that end, we asked five health and fitness industry leaders (who just so happen to be women) to share their thoughts on how to create a supportive workplace for women. Not surprisingly, a zero-tolerance policy for harassment and discrimination and a commitment to equal pay topped their lists. Here are some of the other areas that they identified as contributors to a supportive workplace culture. Employers consistently underestimate just how precious the benefit of flexibility is. Studies have shown that benefits like flex time and informal dress code, whenever possible, can reduce stress and increase employee productivity and longevity. 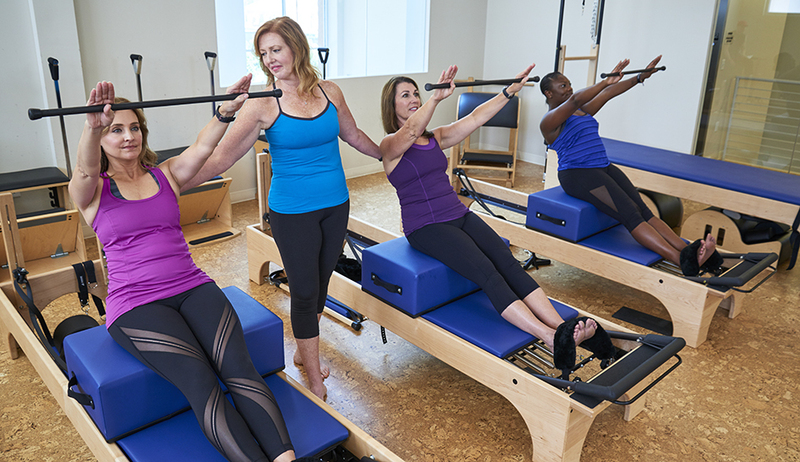 Laurie Smith, Senior vice president for VillaSport Athletic Club and Spa, says she looks at the health club industry as one that is fortunate to be able to afford flexibility for staff. “The fact that we are open 364 days a year and up to 18 hours a day gives us the opportunity to be flexible and create jobs that fit with the other areas of an employee’s life and obligations,” she says. “Time off for family demands, such as school functions, sick children, ailing parents, etc. is essential to allow a person to function normally and with less stress,” says Linda Mitchell, the director of public and government relations for Newtown Athletic Club. Greta Wagner, executive director/EVP of Chelsea Piers Connecticut, emphasizes the need to appreciate the importance of an employee’s work and family life, and let them know that the workplace is supportive of their role at home. Mentors provide support to their mentees during their leadership journey, hearing their ideas, fielding questions, and listening to concerns. Lynne Brick, president of Brick Bodies Fitness Services Inc., says she believes that women learn to exercise their leadership muscle when the culture fosters mentorship and learning. Open communication and clear channels for feedback help to ensure that employees’ ideas and input are heard and considered, which contributes to them feeling appreciated and respected. Wagner says she believes that all employees need to be managed to their strengths. “Work styles need to be recognized, and work environments provided that allow for collaborative, independent, creative, and other types of work styles,” she says. “It is important to meet an employee where they are, then move forward collaboratively,” says Brick. “By helping staff better understand one another from a gender perspective, [we] were able to foster better communication,” she says. In the end, creating a supportive workplace for women is something that leaders must actively work to incorporate into their company’s culture.